CREP Group has obtained ISO9001:2015 and ISO14001:2015 international standard system certificates, and its products have passed UL, ETL, SAA, CE, CCC, CQC and other certificates. We have a complete quality control system process, guided by quality objectives, from new product development introduction, verification and evaluation, trial production, mass production, raw material feeding to process, shipment, after-sales service and continuous improvement and management, making us easily find weak points or abnormal problems in our manufacturing process and quality control inspection process. Then we on site use seven methods of quality control, 5W2H, TQM total quality management tools for analysis or special improvement, the implementation of verification correction and preventive measures effectiveness, to enter a new round of quality PDCA cycle, and continuously obtain quality results and effective quality assurance, to meet customers’ requirements and satisfaction in product quality, service and cost. The process of new product introduction is a series of verification and prevention control of effective performance, safety and reliability in the structure, appearance, performance, matching, process, production process design and sample process in the new product development stage, to ensure the new product is fully verified and confirmed before being transferred to mass production. 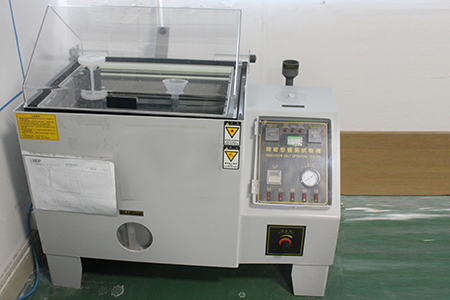 Incoming material inspection includes hardware, plastic, power supply, PCB, led chips and other materials inspection. The inspection is carried out according to the US banned standard MIL-STD-105-E II for sampling test. The inspection content is to make check-confirmation of comprehensive identification, appearance, size, performance safety, EMC / EMI testing, trial production or reliability testing based on our incoming inspection process and inspection regulations, BOM, drawings, samples, specifications, customers’ specific requirements, etc., to prevent defective products from entering the warehouse and ensure that the material on the line is qualified. Process inspection includes the first item, Patrol ring inspection, the full inspection of the appearance, and the electrical characteristics are all energized to test. The inspection content is based on the sales order, customer’s requirements, comprehensive check of BOM materials, drawings, inspection regulations, operation documents, equipment operation etc. 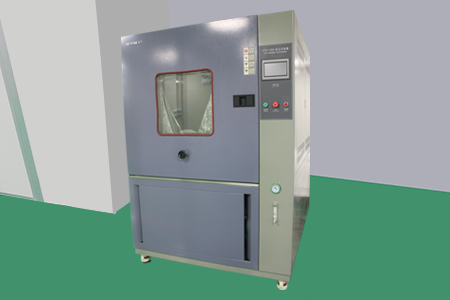 In order to ensure product quality, the operator must obey "three press", "three automatics", "one control" requirements, prevent defective products in three steps. The aging of products during all production processes must be carried out under controlled conditions and the quality requirements are strictly adhere to not “clearing afterwards”, but “pre-prevention”. The warehouse-receiving Inspection includes product package, label, barcode and others according to sales order, BOM, drawing, packaging method, weight and other comprehensive inspection check. 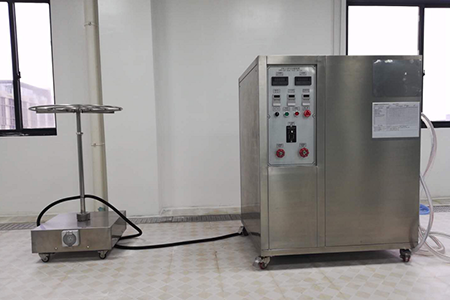 Making sampling inspection according to MIL-STD-105E II AQL , prevent defective products from flowing into the next process. Shipment inspection adopts visual inspection, mainly checking if product information and sales order requirements, identification, label, barcode, packaging requirements are consistent, randomly checking the appearance, electrical performance, disassemble inspection, etc to ensure that product shipments 100% fit quality requests and meet customers’ needs. 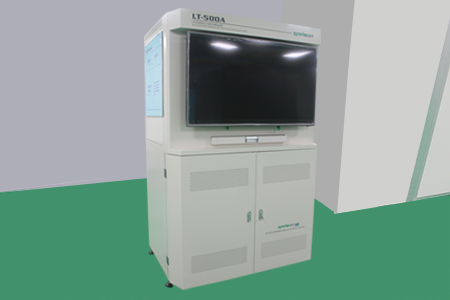 The company independently established a laboratory for reliability testing and R&D of LED lighting products, which equipped with various brand instruments in the laboratory. 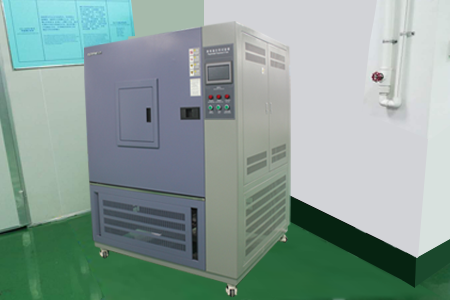 Everfine GO-2000H light distribution performance test (IES), Everfine integrating sphere, programmable constant temperature and humidity test chamber, thermal shock test chamber, dust test cabinet, waterproof test room, EMC transmission to radiation room, drop test machine, simulation Vibration transport station, LED life aging box, salt spray test machine and other equipment. It mainly measures the light intensity distribution curve, light intensity data, effective illumination beam angle, total luminous flux, goodness limit curve, UGR uniform glare value, effective illuminance curve and lamp efficiency and some other parameter distributions, which can better satisfy customers in the brightness of the LED fixture and the distance between the fixtures when installing lights. 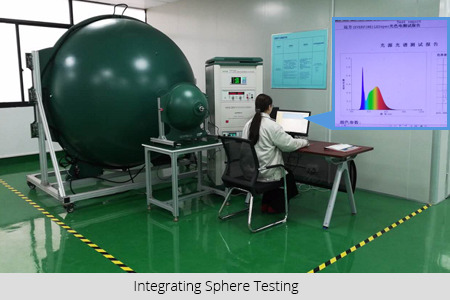 The integrating sphere detects the spectral power distribution of the LED color light electrical parameter, color crystal coordinates, dominant wavelength, spectrum, color temperature, color rendering index, luminous efficiency, voltage, current, power and other parameters s, which fully meets the requirements of the International Commission on Illumination CIE Color measurement requirements. It mainly tests new products, LED lamp lighting, power supply and other products or materials, in different temperature environment such as high temperature, low temperature, alternating temperature change or constant test temperature environment, to get parameters and performance results. 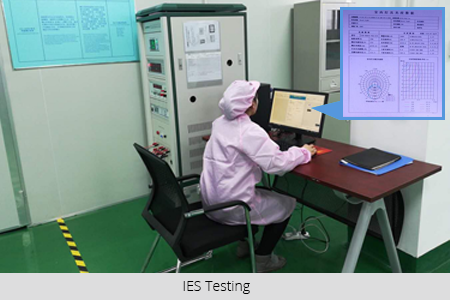 Test the dust-proof performance of the LED lamps, test the shell sealing properties of the product, and monitor the IP5X and IP6X grade tests specified in the protection rating standard. 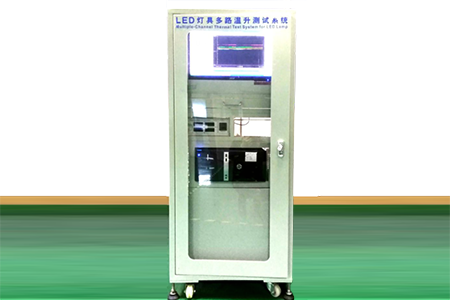 Test the internal and external junction temperature method and detection process of LED lamps, and judge the performance and life of LED lamps according to their ability to withstand temperature when lighting on. Simulate salt spray corrosion of the atmosphere to verify the corrosion effect of hardware and lamp housing on sodium chloride solution, or verify the degree of rusting of some non-metallic materials.